OMG, that's so FETCH! Purchase Mean Girls tickets from Ticket Galaxy to see the iconic 'Mean Girls' plot unfold on the Broadway stage! 'Mean Girls' is a musical based on the movie 'Mean Girls' that was released in 2004. Originally starring Lindsey Lohan, Rachel McAdams, and other major stars, the chick flick quickly became an iconic pop culture phenomenon. Years later, the reign of Regina George and the Plastics live on. 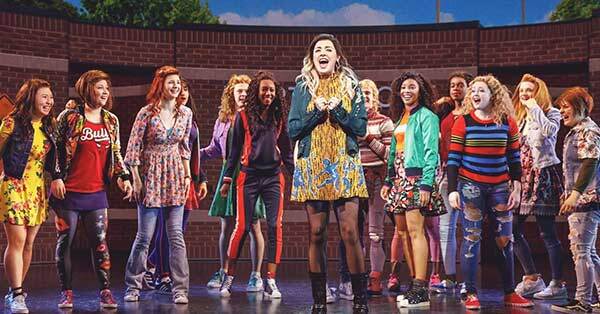 The Broadway musical follows the original plot, as newcomer Cady Heron navigates her new high school after moving from Africa. Her good looks gets her a seat at The Plastics' table, a table where the three most popular girls in the grade sit at lunch. In a plan to take down Queen Bee Regina George with her real friends, outcasts Janice Ian and Damian, Cady learns there is so much more to high school than ever imaginable. See the story unfold with Mean Girls tickets from Ticket Galaxy!